In coin collecting, coin grading and certification is the process of determining the grade or condition of a coin. The grading of a coin includes the analysis of several criteria, the most important being the quality, the rarity, the interest factor, and the liquidity factor. 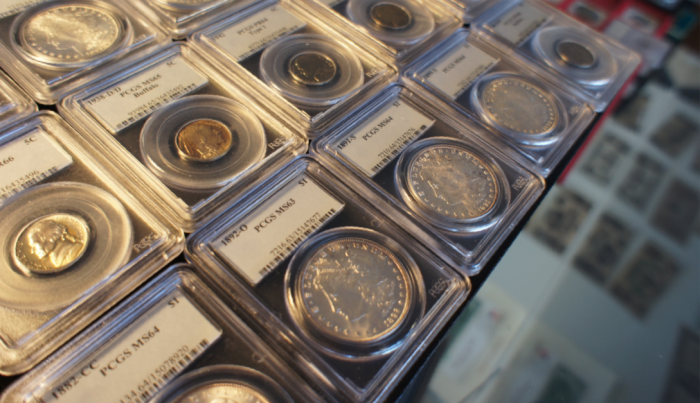 As of 2010, there are two prevalent coin grading services: PCGS and NGC. Augusta Coin Exchange is a member of both. In in bill or paper money collecting, authenticating is the process of determining the authenticity of a paper note. Senior coins specializes in bill or bank note authentication in Maryland, Virginia and Washington DC.